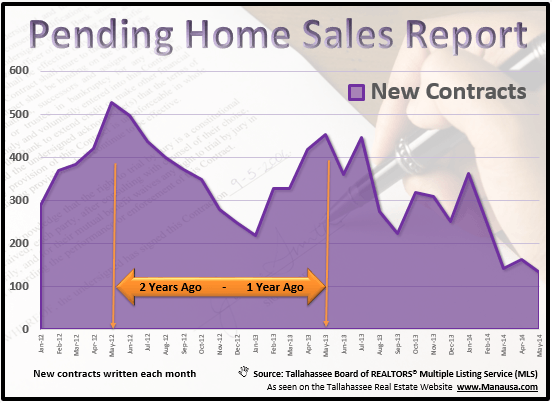 The pending home sales graph above shows that things have not been looking so great in the Tallahassee real estate market since the end of the Homebuyer Tax Credit, but recent activity shows positive signs for new contracts. I believe the main problem with the market is that 2/3rds of our traditional buyers come from Tallahassee as sellers first. Since many people are trapped in homes that are worth less than their mortgage, this group of buyers cannot move as they are failing to sell their homes.